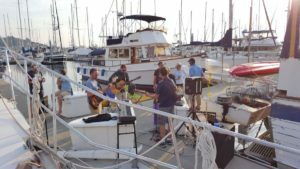 Sunday, E dock had an open-mic night followed by a movie at sunset! 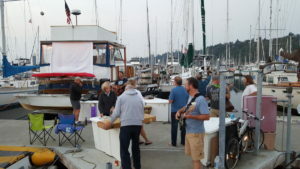 Several boaters on the dock provided singing, guitar, keyboard and harmonica talent for our neighbors’ enjoyment. 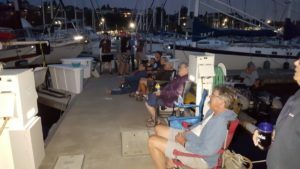 At 8pm, everyone went home, grabbed a bite to eat, warm clothes and a chair and at sunset we rear-projected the movie Captain Ron on a screen on the back of a powerboat. 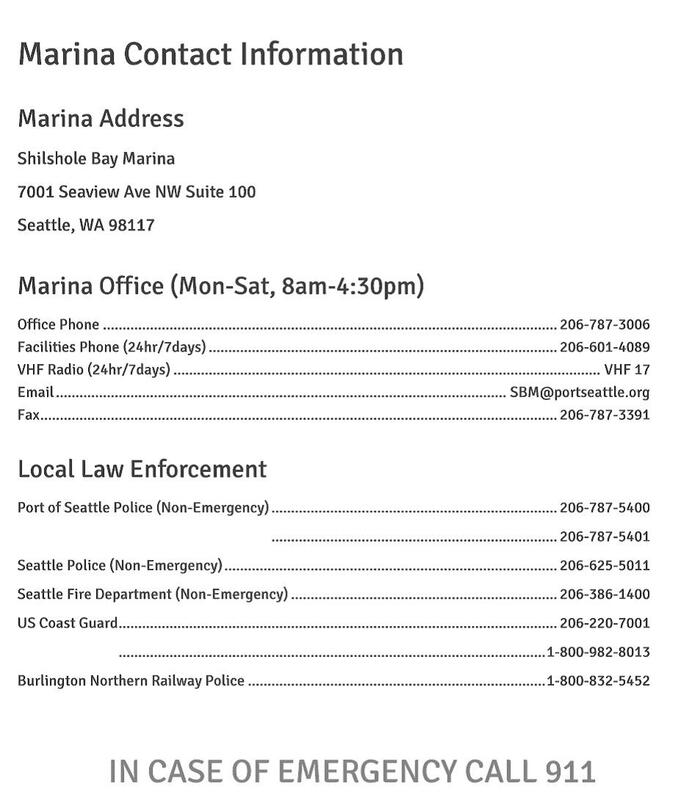 Popcorn was served and about 20 people attended..some by dinghy. Great fun had by all!